Who is London Men of Accord? 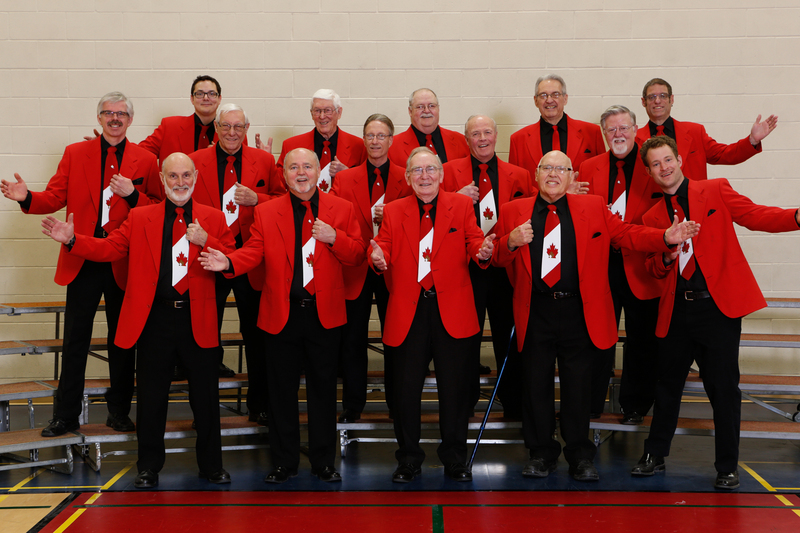 The London Men of Accord is a barbershop style singing chorus that is a chapter member of the Barbershop Harmony Society, formerly known as the Society for the Preservation and Encouragement of Barbershop Quartet Singing in America (SPEBSQSA). Originally sung in quartets around barbershop corners, the movement has evolved to chorus as well as barbershop quartet groups. Choruses often include several quartets who have the time and desire to sing and perform. The singing is done in 4 parts, Tenor, Lead, Baritone, and Bass without instruments. Harmony is generated by close intonation for the chords. This requires practice and a lot of fun. We are a non-profit organization. Monies earned from concerts, etc go to support charities for the vocal impaired. Do you want to learn to sing better ? Want London Men of Accord to sing at your next function? Why not hire London Men of Accord to entertain at your next event? We can perform at corporate functions, charity events, community Entertainment events, birthday parties, christmas parties, awards nights, weddings, engagements, anniversaries, engagements, and even funerals and memorial services.